In the panache of routine, daily might I add; we tend to leave the very frills of normality out, or exchange them for such ghastly unappreciated twists of reactions toward the value of both immaterial and material. How would one possibly put an absolute worth, figuratively speaking to value? In such frivolous attempts to do so, I sense strongly that again forgoing roots we once held acutely close to us are discarded to swine. That is value. Value added, value undermined. Why am I focusing much on farms, livestock and the very poignant respect that underlies us all is a mystery, but prevalent. Significantly so, value is a tool used, manipulated and exploited in feeding swine, or depriving swine from their very “bread and butter”. See, in this case again..does buttering up come into context again? Spreading butter on bread is also an underlying perception as to how we relate ourselves to. 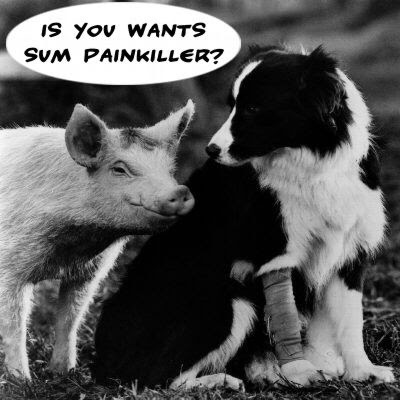 Pigs are the utmost taboo form of nutrition to a nation, yet a necessity essence to a republic. 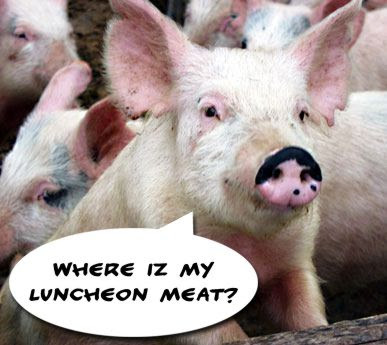 Why do we derive needed nutrition from pork, overlooking the many forms it presents itself? Ribs- roasted, Knuckles-skewered, Char-siew and siew yuk in our most familiar vernacular. Unlike its meat, swine often poses threat to infamous diseases yet we still provide their meals only to indulge in them as our meals thereafter. Dirty swine. Delicíoso pork. It’s rather an immaculate perception to place on, nor a value to “stamp” on, but what the hell. It’s either they give us a hell of a feast or they send us a step closer to hell. I’d opt for the former. At least I know precariously when I decide to indulge in ribs, ahhh the satisfaction, the delight. Exquisite. I have increased intelligence, and yet I am wary and apt to avoid complications of disease. If so, I know the neighbourhood practitioner is a drive away. It’s a definite value of dirty swine. The year has come and gone, 2007, wah... so fast ar? bugger. where you go? Starbucks had a great offer of 2008 diaries, 17 drink stickers and one food sticker and there you have, a typically starbucks brown paper book. We collected 10 of those so you do the math. Yes the merry green men have emerged and vanished, vindicated by the sounds of party poppers and (the latest craze) spray foam, poked in the eye by a ball point pen and had their hearts crossed, whatever that means.